Credit: Norman Kuring. Download this image (JPG, 166 KB). 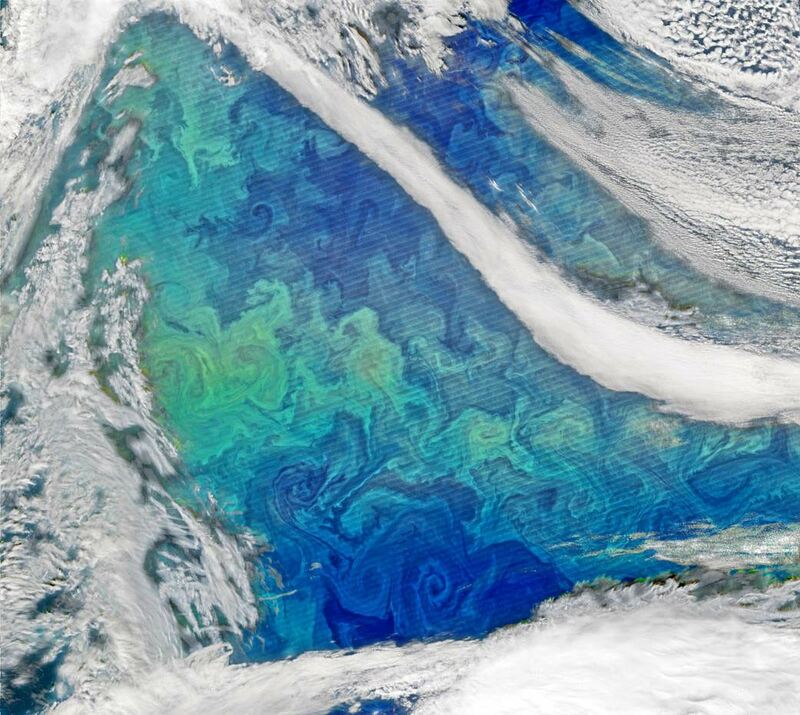 [04-Jan-16] Each spring, the waters of the North Atlantic Ocean host a huge natural bloom of phytoplankton - microscopic, plant-like organisms that are important for carbon cycling and also could influence clouds and climate. Blooms occur in the North Atlantic in fall as well, but the typical weather can make them difficult to observe. This NASA image was created using VIIRS data from the Suomi National Polar-orbiting Partnership. Read more here.